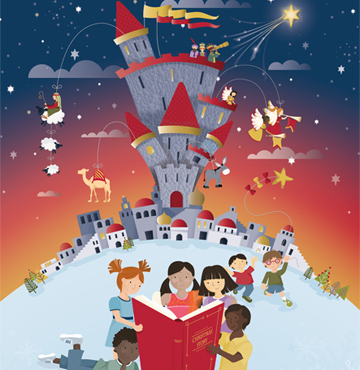 In just a few clicks you can create a gorgeous Christmas or birthday card for your sponsored child. We will then print it and deliver it on your behalf. It couldn’t be simpler! The Christmas card site is now closed but we'll let you know as soon as it's time to create and send your next Christmas card. Your sponsored child’s birthday isn’t far away, so now’s your chance to wish them a very happy birthday. Children everywhere love receiving cards, so make sure you don’t miss your chance to make their birthday extra special. It’s really easy to create a card online. 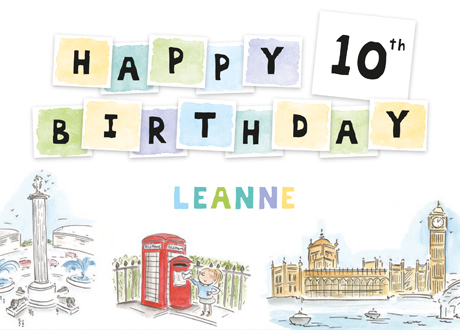 You can choose from a selection of cards, add your own message and even upload a photo of yourself too. You’ll also have the opportunity to help make another child’s day by making an extra donation. There are few things better than receiving a personal message in the mail, so this service makes it as easy as possible for you to write to your sponsored child and give them that special feeling. It’s a quick and easy process. All you need to do is write an email to your sponsored child and send it to the national office in the country where they live. At the national office they will translate your message, print it and deliver it directly to your sponsored child. Can I still make a donation if I make my card online? Yes. After making your card you’ll be taken to a page where you can make a donation online using a credit or debit card. Can I still send a present to my sponsored child? Yes. If you'd like to send a present, it will be easier for you to send it in with a postal card, so we can deliver them at the same time. Find out more about sending presents. Do I have to make a donation to complete the process? No. Just as with the cards we send you in the post, the most important thing is to use this opportunity to send a greeting to your sponsored child – they love hearing from their sponsors. We ask for a suggested donation to help cover the costs of producing the card and delivering it and, if you are able, an additional donation to help some of the world’s poorest communities. Yes! World Vision takes the security of your details very seriously. All information is stored on a secure server and transferred using suitable encryption software. No one else can access this unique webpage, unless you give them the link. My name and address already appear on the web pages – how is this possible? We’re using a technology called Personalised URLs (or pURLS) that enable us to send you a unique and personalised link to the card-making web pages. When you use the link, the system retrieves the relevant details, such as your sponsored child’s name and ID number. What happens after I complete the process online? We’ll print the card for you, which will include your message and photo (if you choose to include one) and send it out to your sponsored child in the usual way. What happens if I don’t make my card online? If you’re unable to complete your card online, or would prefer the usual postal version, don’t worry! You should have already received a card in the post, so feel free to use that. If you have not, or have misplaced your card, please get in touch with our Supporter Care Team using the details at the bottom of the page. By telling us your email address, we can let you know next time by email when it’s time to send your sponsored child a birthday or Christmas card. Why are you asking me to create a card online? We want to make it as easy as possible for sponsors to build meaningful relationships with their sponsored children – being able to make cards online is just one way to do this. It will also help us to reduce some our costs, making the process as efficient as possible. Why isn’t there a card for all my sponsored children? If you've recently started sponsoring a child, then you may not be able to create your card online – simply contact our Supporter Care Team to request a postal card and next time, we'll make sure you are able to complete your card online. If it looks like we’ve made a mistake, then just let our Supporter Care Team know. Will I ever see the card? No. To keep costs down, we’ll send this directly to your child. You can ‘preview’ your card during the online process where shown. If you do want to receive the postal card in the usual way, then please don’t complete the process online. Sending an email can be a quick and easy way for you to stay in touch with your sponsored child. Here we answer your questions about the process. If you have any other queries, please call our Supporter Care Team on 01908 84 10 13.
Letters are sometimes delivered to your sponsored child’s school, so there may be delays during school holidays. How will my sponsored child respond? Your sponsored child will respond via the regular postal service. Their response will not be via email. What if I can’t send an email to my sponsored child? World Vision encourages sponsors to write to their sponsored child. An alternative would be to post a letter to your sponsored child. They will be looking forward to hearing from you. See World Vision’s guidelines about sending postal mail. Why can't I send photos and other attachments to my sponsored child? Email systems in many areas where World Vision work are limited and cannot easily handle attachments. There is also limited printing capability in these areas. Why could I previously send an email to my sponsored child and now I can’t? From time to time, it might not be possible to send an email your sponsored child. The delivery of email might be interrupted by civil unrest or the area might be suffering from the effects of extreme environmental conditions which mean that the World Vision resources in-country are diverted for a period of time. Please rest assured that you can always send postal mail, but there may be delays. Thank you for requesting a replacement card pack. Please fill in your contact details in the form. In order to save on additional costs you will receive a duplicate pack with the same contents as your original mailing. For more information, please don’t hesitate to contact our team on 01908 841013 or by emailing us. Your Supporter number is printed on correspondence you will have received from World Vision. It can normally be found near the top left corner of a letter. A Supporter number will look something like 123456789 and will be nine digits in length.